AKIPRESS.COM - A historical moment, the Conference of the Parties to the UNFCCC (United Nations Framework Convention on Climate Change), is coming nearer and nearer. In December 2015, climate leaders and decision makers will meet in Paris at the 21st Conference. The countries should submit their INDC (Intended Nationally Determined Contribution) by October 2015, outlining plans to reduce greenhouse gas emissions; the document will come into force in 2020. The 21st Conference of the Parties is extremely important; many hope that it will facilitate a new global agreement to replace the Kyoto Protocol starting in 2020. The central feature of this agreement is keeping global warming at the 2°C level. This new global agreement must include one of the most important strategic goals: at least 50% global reduction of GHG (greenhouse gas) of the 1990 level by 2050. It is hoped that on December 2015, in Paris, climate leaders will sign this global climate agreement. Several countries and regional organizations, including Norway, Scotland and the EU, have already submitted their INDC. Organizers hope this will motivate additional countries to submit their INDC by the October 2015 deadline. In the past, the official delegation of Tajikistan actively participated in the Conference of Parties. In December 2012, at the Conference of the Parties 18, the official delegation of Tajikistan represented landlocked mountainous countries and advocated for increased awareness about the rise of global warming temperature by 2 degrees Celsius; they also called for a second period of the Kyoto Protocol. Tajikistan still did not submit its INDC. Climate activists hope that Tajikistan will submit this historical document in October 2015. Tajikistan is the most vulnerable country in the Central Asia region in terms of the impact of climate change. Glaciers are the main source not only of clean drinking water in the region, but the most important resources for hydropower stations as well. 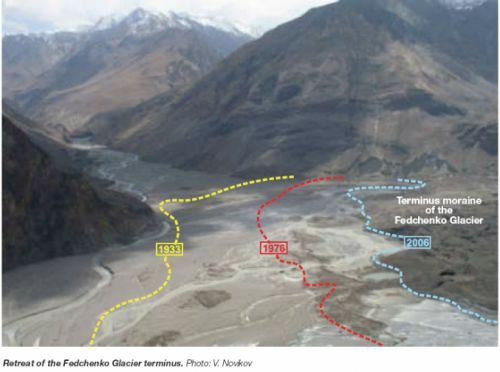 According to the Hydrometcenter of Tajikistan, Fedchenko is the biggest glacier in Central Asia, the length of the glacier is 70 km, with a width of 2 km. At least 8,000 glaciers cover 6% of the territory of Tajikistan. Also, there are 947 rivers with a total length of 28,500 km. 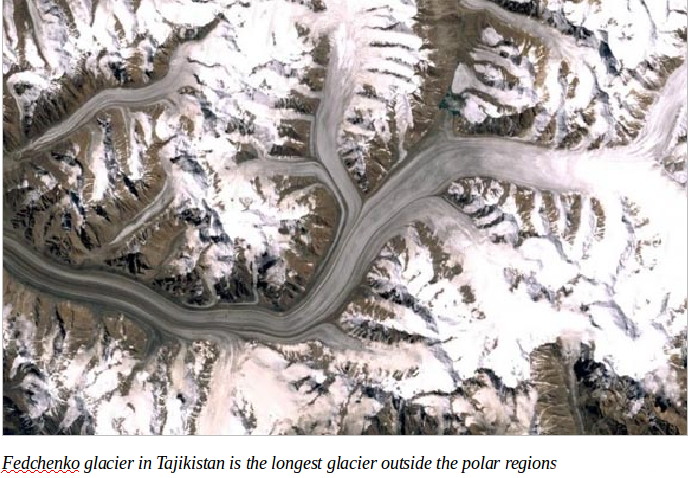 In the past 70-100 years, however, Tajikistan lost over 30% of its glaciers. In the past 50 years in the Murghab district, the glaciers melted by 40%. In the next 30-40 years, the glaciers will be lost at an even more rapid rate than in the past 60-70 years. Glaciers are the main source of clean water in the Central Asia region. Unfortunately, the irresponsible use of water resources in the agriculture sector of Uzbekistan, the second largest exporter of cotton in the world, as well as the disappearance of the Aral Sea are observed. "In the Soviet Union, the deteriorating state of the Aral Sea was hidden for decades, until 1985, when Mikhail Gorbachev made this ecological disaster public at the end of the 1980s. The water level has fallen so much that the whole sea was divided into two parts: northern Small Aral and the southern Big Aral. By 2007, the southern part of clearly delineated deep western and eastern shallow waters as well as the remains of a small separate bay. The volume of the Big Aral Sea dropped from 708 to 75 km3, and the salinity of the water has increased from 14 to more than 100 g / l," according to sources in lifeglobe.net and survincity.com/2012/03/the-disappearance-of-the-aral-sea/. There is a theory that in 1948 at Middle Island in the Aral Sea the Soviet Union constructed a facility for biological weapons that was used to test dangerous samples such as smallpox, anthrax, tularemia and others. It may lead to unexpected and unknown consequences for the vulnerable Central Asian region. According to a member of the Committee on Environmental Protection Agency, Anvar Khamidov, “Darwaz, Muminobod, Hamadoni, Jirgital and Panjakent districts are the most dangerous and vulnerable, as they are influenced by climate change. More than 300 thousand people live in these areas”. As was reported in the National Adaptation Plan of Tajikistan, in 1991 the annual CO2 emissions reached 22.6 million tons, but after the civil war emission levels decreased 10-fold. Currently, Tajikistan has 40 coal fields and 18 oil fields. The annual coal production is 15-20,000 tons per year. The total coal reserves are currently 4.5 billion tons. At the same time, we cannot forget about countries that are in the region with Tajikistan; emissions from China and India negatively effect Tajik glaciers. According to unofficial sources, emissions from vehicles in Tajikistan reach 160,000 tons CO2 in summer period. We can observe an abundance of smog above Dushanbe, the capital of Tajikistan. As already mentioned above, Tajikistan is the richest country in terms of water resources; 81 billion cubic meters of water pass through the major rivers of Tajikistan annually, enriching the rivers flowing through Uzbekistan, Turkmenistan and other countries of the region. Approximately 96% of the electricity produced in the country is from hydropower plants. The water potential of the country allows it to provide the region with electricity from the hydropower plants without CO2 emission, at a cheaper rate than alternative energy sources. As reported by the Hydrometcenter of Tajikistan and the Committee on Environmental Protection, several large hydropower stations are producing energy at a total capacity of 4,986 megawatts in Tajikistan. “The total potential reserves of hydropower plants are 527 billion kWh per year (8th in the world), or 4% of the world's hydropower potential. The average annual generation of electricity from hydropower plants is 16.5 billion kWh (4.5% of the potential reserves). Also, there’re 280-330 sunny days a year. 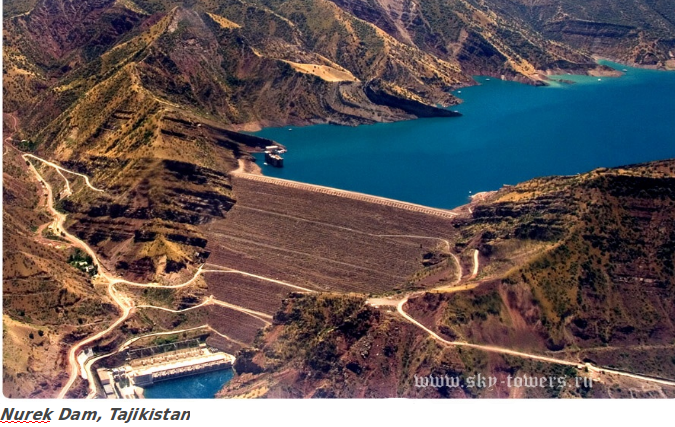 This means that Tajikistan has great potential for clean energy in the region,” the Hydrometcenter says. Tajikistan has great potential prospects for developing clean energy, and a chance to cut 30-50% greenhouse gas from 1990 levels by 2030. Moreover, Tajikistan can play a key role in the region on climate change issues and could be a good example for other Central Asia countries. Climate leaders from all over the world should find the strength to ensure the safe future for humankind by signing a new global commitment.